The place was clean and the lady who took care of me was really sweet and took her time with my lashes. Would definitely go back! They were very accommodating even without an appointment try saw me. Amazing service! The aesthetician was helpful and professional. Highly recommend Ireland Beauty! This was my first time at Ireland Beauty. Cozy space with friendly staff. Saidhbhe was really kind, professional, and did an excellent and efficient job threading my eyebrows and upper lip. She made the experience really positive! I plan on returning for future appointments. Thank you Nift for introducing me to the salon! Simply wonderful! Right in my neighborhood, and I never knew it was there! This was a great opportunity to try out a place I may not otherwise have gone to. Taryn was great and the spa was very welcoming and clean. My experience at Ireland Beauty was great. Mel took her time with my eyebrow tinting and made me feel very comfortable. Will definitely be returning. Clean and beautiful salon, very nice and friendly staff. 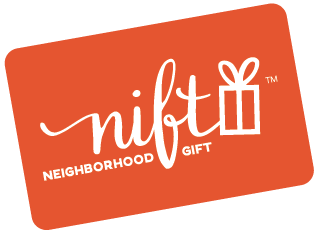 My treatment was great and I am thankful Nift has introduced me to such a great local spot.